A truly timeless classic. 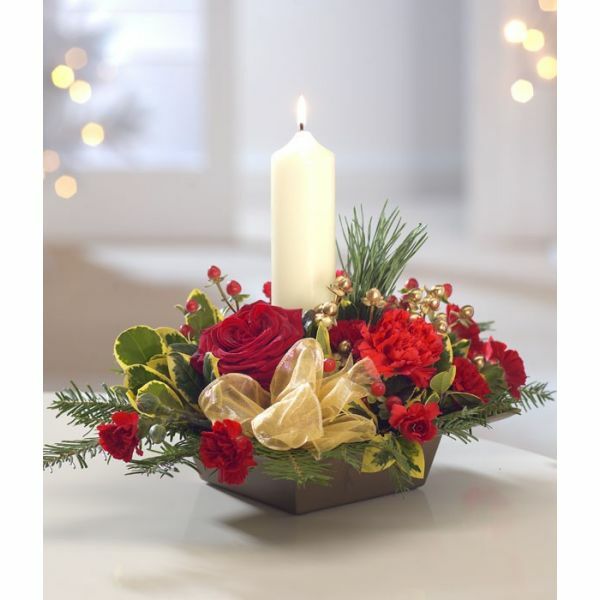 A Christmas church candle and flower Arrangement of ruby red Roses, Carnations and Hypericum interspersed with sprigs of Holly and Pine. An exquisite, seasonal centrepiece.